Leigh Brown is a Charlotte, N.C., area RE/MAX franchisee who calls herself the “no BS realtor,” and she more than lives up to that tagline on Twitter. War on Women! Oh, you mean like the one the Stop Rush crowd is waging against a successful, self-made female entrepreneur? The trolls and thugs came out to play, but Brown swatted them away. Unlike Arby’s, Walgreen’s and other craven corporations, Brown wasn’t about to cave to their threats. “I will advertise wherever I damn well please. You trolls don’t like it, don’t listen,” she tweeted in defense of the free market. If you’re looking for a realtor in the Charlotte area who thinks with her lady smarts, not her lady parts, Brown is your woman. Supporters rallied around Brown as the Stop Rush crowd continued their assault. Thankyou @leighbrownremax for advertising on the @rushlimbaugh Show, we millions of listeners approve! Ignore the #StopRush spoilsports! @leighbrownremax I applaud you. Thank you for standing up for what you believe. You are a great American. Brown isn’t the only small business owner in the Stop Rush crosshairs. 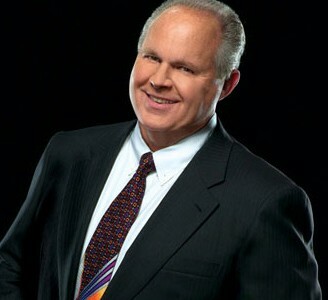 The Stop Rush database contains thousands of businesses, large and small, that have reportedly committed the atrocious crime of advertising on local stations during Limbaugh’s program.